One of the key calls of Sightsavers’ Put Us in the Picture campaign is for the empowerment of women with disabilities, with representation at all levels of society, and in all governing bodies that make decisions affecting their lives. But this is a huge and ongoing challenge. Women are currently underrepresented on more than half of the ten United Nations treaty bodies. By far the least balanced of these – until June 2018 – was the committee that monitors the Convention on the Rights of People with Disabilities (CRPD), which had only one woman out of 18 members. Our #EqualUN campaign aimed to highlight this imbalance and promote better representation of women on the CRPD committee in particular, and on UN committees in general. Throughout the campaign our supporters shared the #EqualUN message across social media, amplifying the message of gender parity. We were also joined by many other organisations (including Women Enabled International, the Gqual campaign and Light for the World) in reaching as many people as possible. 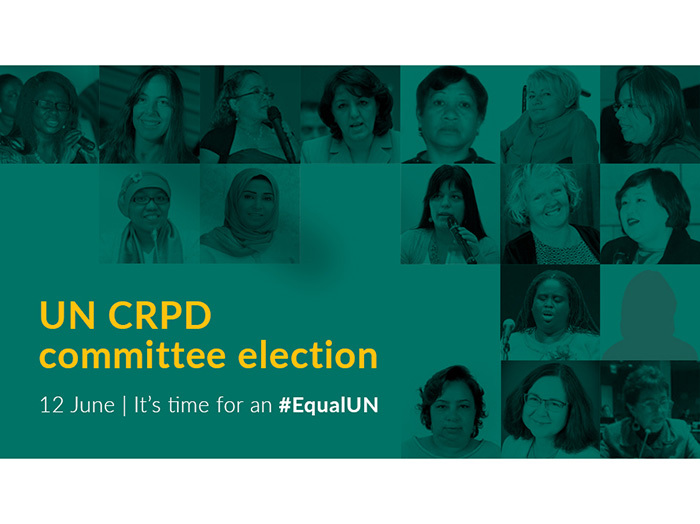 The CRPD election (for nine available seats on the 18-strong committee) held on 12 June 2018 at the UN in New York showed that global calls for parity are being heard – the number of women on the committee went from one to six. This is an important step towards a more equal UN. It’s utterly essential that women with disabilities from developing countries have a place in the deliberations that affect their lives. When women are part of monitoring bodies, issues like gender-based violence, reproductive health and barriers to justice are far more likely to be raised. Watch the closing speech made by Gertrude Oforiwa Fefoame (Sightsavers’ Advocacy Adviser for Social Inclusion, newly appointed to the CRPD committee in 2018) on behalf of civil society at the 10th Conference of States Parties to the CRPD in June 2017 (There’s also a text version available). June 2018: Six women, including Gertrude Oforiwa Fefoame, are elected to the CRPD committee! April 2018: Nominations have closed for the CRPD committee – a total of 17 women and 13 men have been nominated.